For our black-eyed pea hummus, we opted to use Margaret Holmes brand seasoned black-eyed peas. These are seasoned with bacon fat, hickory smoke flavor, and spices, giving the hummus a soul-soothing taste without the need for any additional seasonings. If you choose a different brand, check the label to verify that it’s seasoned with bacon or ham to recreate the satisfying flavor of our dip. Drain black-eyed peas, reserving a half-cup of their juice. 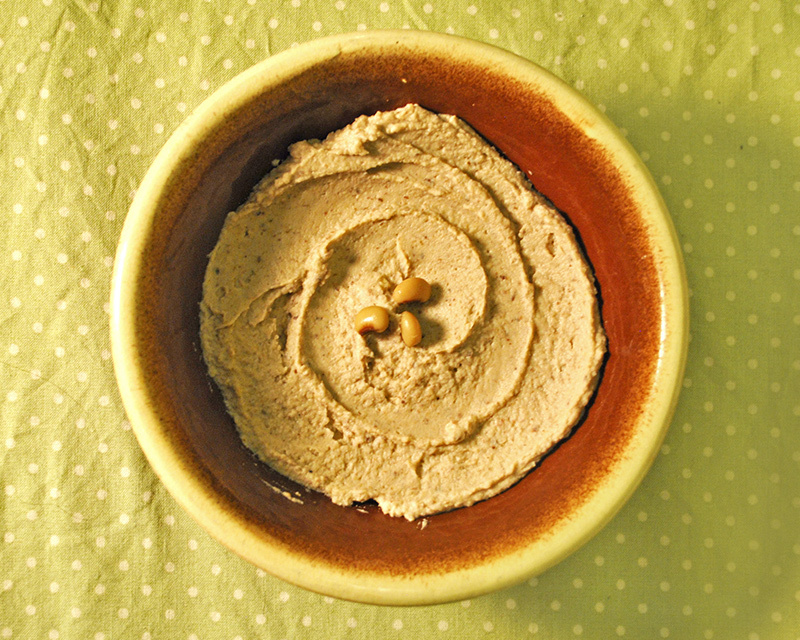 Combine black-eyed peas, tahini, and olive oil in a food processor and process on high until smooth. Add a tablespoon of the reserved black-eyed pea juice and process the hummus for several seconds. Repeat until you reach a smooth, creamy texture. Season the hummus with salt and pepper to taste.